DHL has launched a double-deck airline catering vehicle, which it says offers a 70 per cent increase in capacity over traditional high-loaders with no increase in overall dimensions on the road. 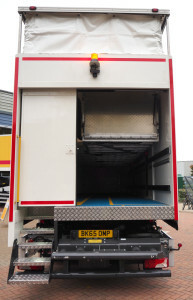 It worked with high-loader specialist Mallaghan Engineering on the new design which meets all current length, height and width restrictions in transit, but whose roof rises during loading and unloading to provide operators with a safe working height of 1.8m. DHL has been growing its business in the airline catering market and its customers now include United Airlines, and Sri Lankan Airlines as well as British Airways and Qantas. It offers an alternative to the traditional airline catering model, in that it uses specialist caterers to supply the food while it focuses on its logistics expertise. Airline caterers have been using high-loaders for many years, but not double deckers. 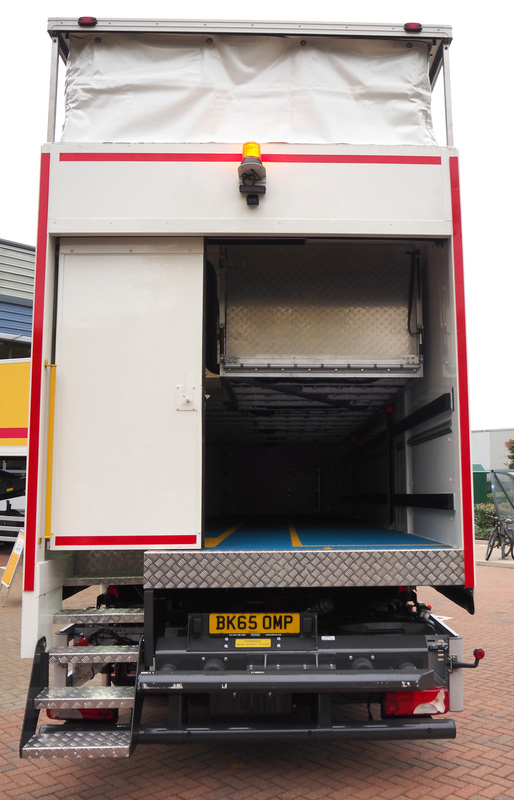 DHL used its experience of other markets to develop the new vehicle. The additional capacity available can reduce the total number of vehicles needed to service an aircraft.